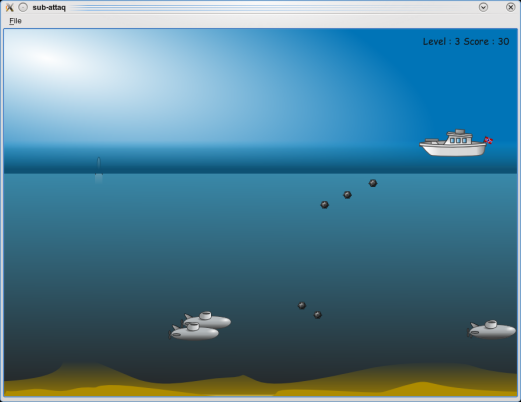 The purpose of the game is to destroy all submarines to win the current level. The boat can be controlled using left and right keys. To fire a bomb you can press up and down keys.